· In China, as part of the seventh edition of the “Golden Panda” award, Magneti Marelli received the “Time-Honoured Panda” award for the value of the company’s consolidated presence in the country. Over the last few days, Magneti Marelli has received two important international awards: the REI 2016 in the “Engineering, Innovation and Technology” category in Brazil, and the Golden Panda in the category “The Time-Honoured Panda” in China. Magneti Marelli received the REI 2016 (Recognition for Excellence and Innovation) award in Brazil for activities developed in the Powertrain business area in the field of “Engineering, Innovation and Technology”. The REI is a prestigious award for excellence in the field of innovation and technology promoted by Automotive Business, one of the most respected magazines in Brazil dedicated to the automotive world. The REI is sub-divided into 13 categories and it celebrates every year sector companies which have distinguished themselves in Brazil. The award ceremony saw the participation of the representatives of the most important producers of vehicles and components in the country. Magneti Marelli’s Powertrain business area won in the category of “Engineering, Innovation and Technology”, thanks to the project dedicated to “The first laboratory for the analysis of hybrid and 4x4 vehicle performances” created in Latin America. The jury decided to award Magneti Marelli after having examined the contribution that the company’s project made to the development of the Brazilian automobile industry. The Technological Centre of Magneti Marelli’s Powertrain division in Hortolândia, São Paulo, is the first in Latin America dedicated to 4x4 and hybrid vehicles. The new workshop covers an area of 618 square metres and is fitted with the latest generation of equipment to answer car-markers’ requirements for the development of analysis programmes on vehicles up to 5.4 tonnes in weight. The new area of the Technological Centre joins the already existing area dedicated to engine emissions for vehicles and motorcycles. 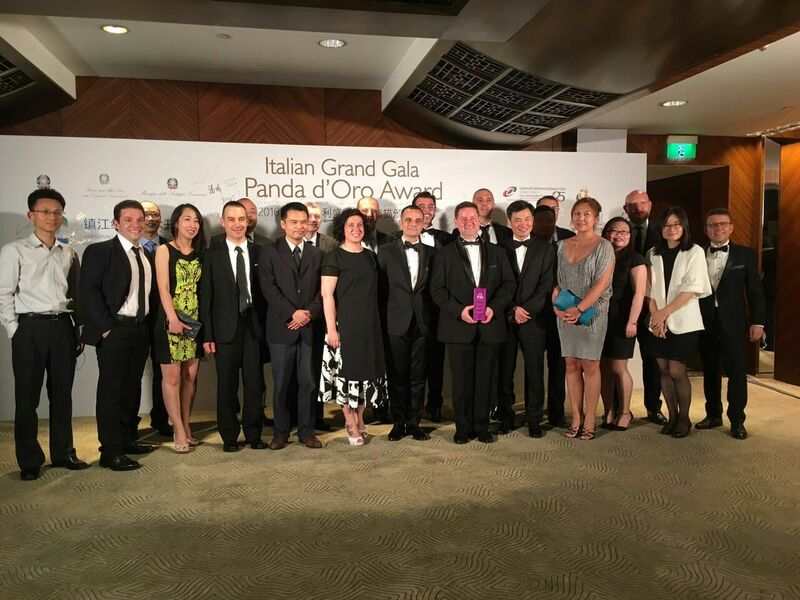 The second award was presented to Magneti Marelli by the Italian Chamber of Commerce in China as part of the “Golden Panda” award. Magneti Marelli was awarded in the category “The Time-Honoured Panda” for the company’s twenty years of continuous presence and constant growth in the country. There were eight categories for awards, and ten companies awarded during the ceremony held in Shanghai. The Golden Panda award is aimed at awarding Italian and Chinese people and organisations who stand out for their activities in strengthening and developing bilateral relations between Italy and China. The 2016 edition of the Italian Chamber of Commerce in China’s prestigious award was organised with the patronage of the Italian Embassy in China, Italian Ministry for Foreign Affairs, The Ministry for Economic Development and in collaboration with the Italy China Foundation (FIC). Magneti Marelli is present in the country with production plants and R&D/Engineering Centres in Shanghai (The new headquarters which were recently inaugurated in May 2016, SAGW Powertrain JV), Wuhu (Automotive Lighting and Powertrain), Guangzhou (Electronic Systems, Suspension Systems and Plastic Components and Automotive Modules), Chagnsha (exhaust systems), Hangzhou (Shock absorbers in JV with Wanxiang Qianchao Company), Changchun (Powertrain in JV with FUDI), Hefei (exhaust systems with JAC and Lingdatang), Foshan (Automotive Lighting), and Xiaogan in the province of Hubei (China South Industries Group Corporation - CSI Automotive Lighting JV). In December 2015, Automotive Lighting and Chanchun Fudi also signed an agreement for the establishment of a JV in the field of illumination systems which will be located in Changchun. Magneti Marelli designs and produces advanced systems and components for the automotive industry. With 89 production units, 12 R&D centres and 30 application centres in 19 countries, approximately 40,500 employees and a turnover of 7.3 billion Euro in 2015, the group supplies all the major car makers in Europe, North and South America and the Far East. The business areas include Electronic Systems, Illumination, Powertrain, Suspension and Shock absorbing Systems, Exhaust Systems, Aftermarket Parts & Services, Plastic Components and Modules, Motorsport. Magneti Marelli is part of FCA.